In the North America, Time Out reaches 7 million unique users every month (Omniture - October 2015), and has a combined audience of more than 1.3 million fans across our social networks. Our digital network focuses on the Top 10 DMA cities including New York, Chicago, Los Angeles as well as several other cities across North America. These must comply with our specifications and be supplied at least 5 days before the start of the campaign. Please note that all designs are subject to Time Out approval and alterations may need to be made to fit with Time Out requirements. Dimensions: Width 1366x (max width 1900) x min height 1200px. 3rd party 1x1 pixel and click tracker should be supplied for external tracking. Pixel and click trackers should be supplied at least 3 days before the start of the campaign. If no 3rd party tracking elements are supplied, Time Out will count clicks and impressions internally. Rich media creative require a GIF/JPEG backup for users who do not have the Macromedia Flash plug-in. If providing rich creative via a 3rd party tag, please apply a polite load of max 40kb. Please note: If the sound is initiated by click there should also be a visible mute button. Audio must be user-initiated with the same action to stop as is used to play (Click to Play/Click to Stop; Mouse over to Play/Mouse Off to Stop). Stop/Mute and Start buttons are required. Video cannot loop more than one time and cannot exceed more than 30 seconds total animation; 15 seconds preferred. Creative must be submitted 2 weeks prior to launch. Time Out reserves the right to approve final creative, subject lines and copy to ensure that it is on-brand. 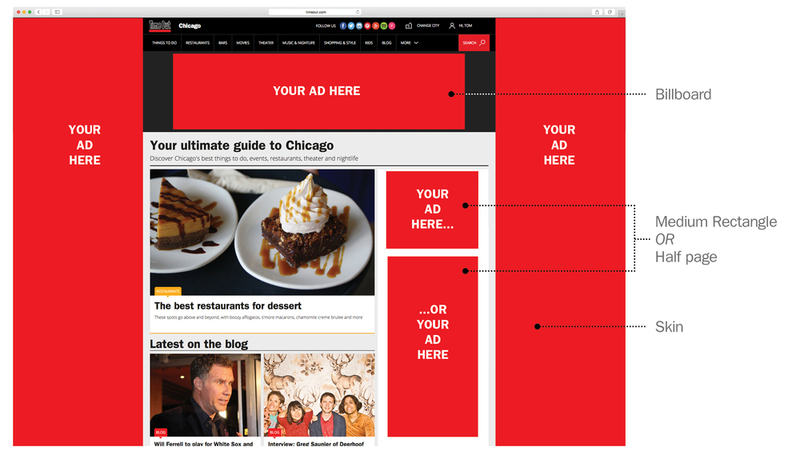 The top 2-3 inches are the most valuable part of your ad, as it’s seen first in the preview pane and on mobile devices. Keep the ad as short as possible and focused on the benefits of the offer. 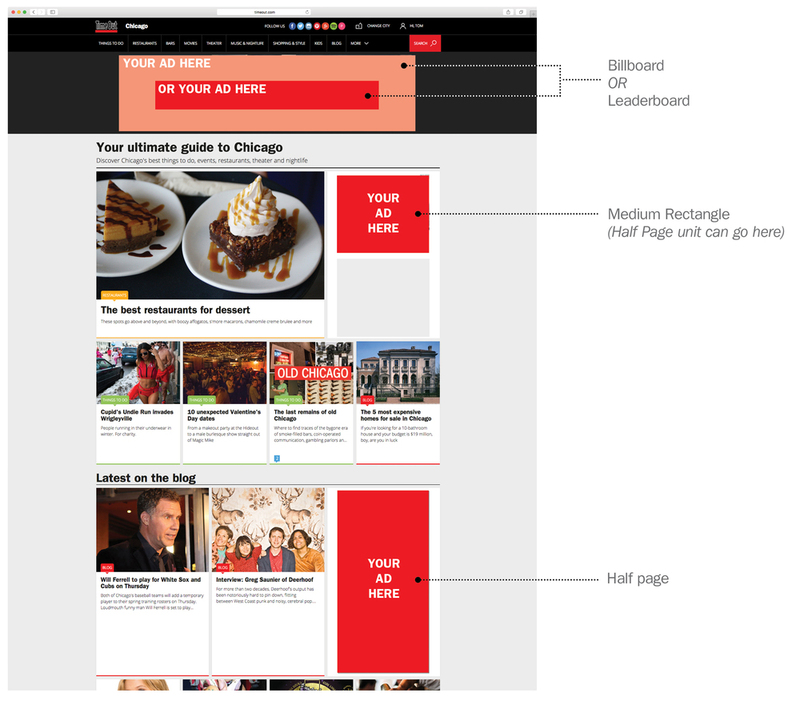 To deliver strong campaign performance from our loyal base of Time Out email subscribers, we send all emails within a standard template that is representative of the Time Out brand in a format our subscribers recognize and identify with. Our team is happy to provide recommendations to help guide the creative development process, including optimizing for mobile users. To find out more about advertising on our website, mobile site and within our emails please contact us.